Today’s municipal water and wastewater treatment (MWWT) service providers face an extensive list of serious and competing challenges: deteriorating infrastructure, aging treatment facilities, increased population demand, more contaminant variety and volume in the waste stream, draught and a dwindling supply of fresh water, regulatory pressure, increased costs, and tightened budgets. Despite these complex hurdles, GC Solutions Amagel™ technology offers a comprehensive solution to address most of the MWWT industry’s water treatment challenges. GC Solutions Amagel™ water treatment technology provides both a disruptive and iterative approach to innovation in the areas of drinking water production, wastewater treatment, and sewage sludge treatment and disposal. Plus, Amagel™ is derived from all food-grade Class IV US EPA ingredients. Groundwater carries a variety of waste and contaminants to tributaries and reservoirs which supply drinking water. Before disinfection to remove pathogens and bacteria smaller than one micron for safe drinking, water treatment plants screen for debris and then engage in the lengthy process of removing suspended solids and oils. Standard MWWT processes employ two separate stages of chemical process to remove suspended contaminants: flocculation and coagulation. 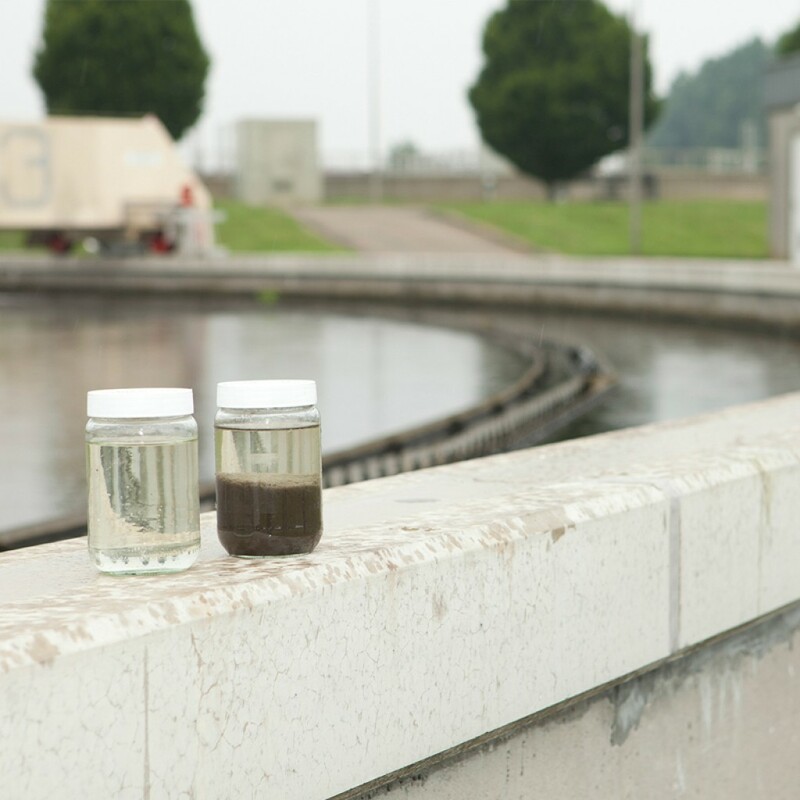 GC Solutions proprietary Amagel™ polymer radically changes the municipal water treatment process by achieving both flocculation and coagulation rapidly in just one step, while cleaning water of suspended solids down to one micron. When Amagel™ is combined with MWWT influent, the gravity and flow of wastewater into the processing tank activates both coagulation and flocculation without added mechanical intervention. Since separate tanks aren’t required with the Amagel™ process, using both tanks effectively doubles performance of an existing facility. Process time is also virtually cut in half with Amagel™, and although not required, mechanical mixers can further expedite the process. Amagel’s efficiency requires less energy and less space than traditional water treatment methods. By increasing performance of existing facilities, municipalities can reallocate resources to infrastructure or to space-saving design for future high-performance water treatment facilities—and use of Amagel™ delivers an added bonus, an average 50% reduction in overall material costs. Amagel™ combines the water treatment processes of coagulation and flocculation into a single efficient step. The Amagel™ process separates water from suspended solids and biodegradable organics (BODs) at nearly double the rate and half the material costs of standard MWWT methods. 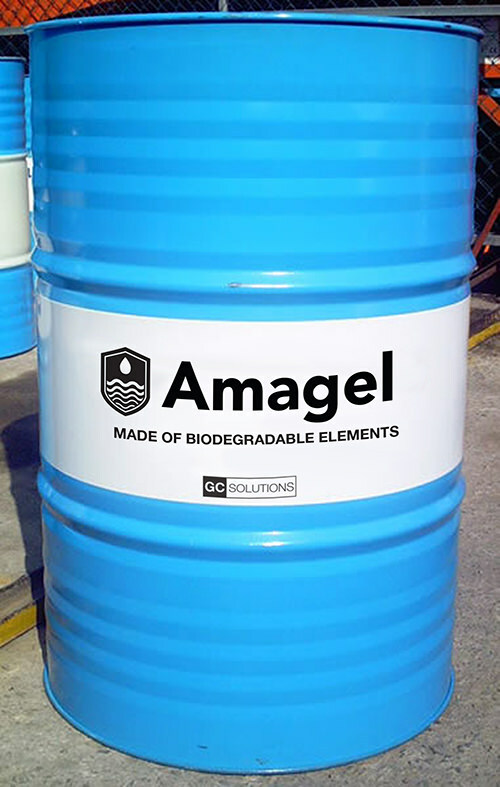 Amagel™ provides a chemically enhanced primary treatment (CEPT) which produces more cleaned water for safe non-potable uses, preserves more water from the waste stream, and safely prepares water to be disinfected for human consumption. GC Solutions proprietary Amagel™ polymer radically changes the water treatment process by providing a CEPT solution which can outperform mechanical systems, enhance performance of mechanical systems, or dictate new system and facility designs based on high-performance factors—and any option can be employed depending on need and circumstances. CEPT with Amagel™ eliminates the need for mechanical intervention like membranes or silt screens. The proprietary Amagel™ polymer functions as a natural filter that allows water to freely flow, while simultaneously capturing contaminants. Amagel™ also eliminates the need for heavy and costly mechanical presses commonly used by municipalities, and Amagel™ even outperforms large energy intensive centrifuges. High performance is achieved with Amagel™ alone, but Amagel™ can also be added to existing mechanical systems – increasing their performance, decreasing their material costs, and even reducing required maintenance. Sludge generated by municipal sewage treatment processes is an environmental challenge. 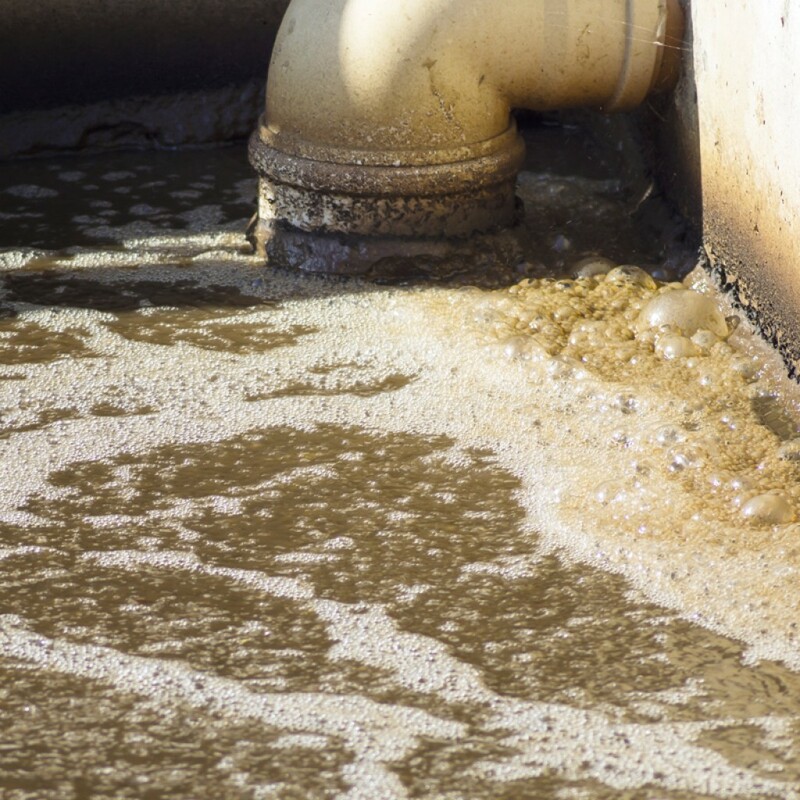 The majority of wastewater treatment facilities use polyacrylamide, often called PAM, which produces a gooey wet sludge. Without mechanical intervention—dryers, filter presses, and centrifuges—dewatering the sludge is a lengthy and space-consuming process. Mechanical interventions expedite drying, but require additional allocations of space, equipment, and energy. And in either case, the sludge is rotated to disposal in a still-wet state which increases disposal costs and decreases water recovery. Our Amagel™ polymer technology rapidly dewaters sewage sludge and recovers more water than other methods, resulting in reduced waste transport and disposal costs. Unlike PAM, which dewaters in a lateral plane only, Amagel™ is a netted polymer that provides more air-flow through the waste in both the lateral and vertical planes. This decreases dewatering time by roughly 75%, reduces odor, and results in drier and lighter cake-like wastes that are more suitable for beneficial reuse. At GC Solutions we see sludge not as waste, but as a potentially valuable resource. In addition to helping municipal wastewater treatment facilities reduce their production of sludge, we also assist municipalities by converting leftover sludge into fertilizer or biofuel to help offset wastewater treatment costs.